Piper has always felt different. She has an imaginary friend, gets scent-aches that are attached to memories and there's a part of herself she doesn't completely understand. Piper's impatient and never completely satisfied. 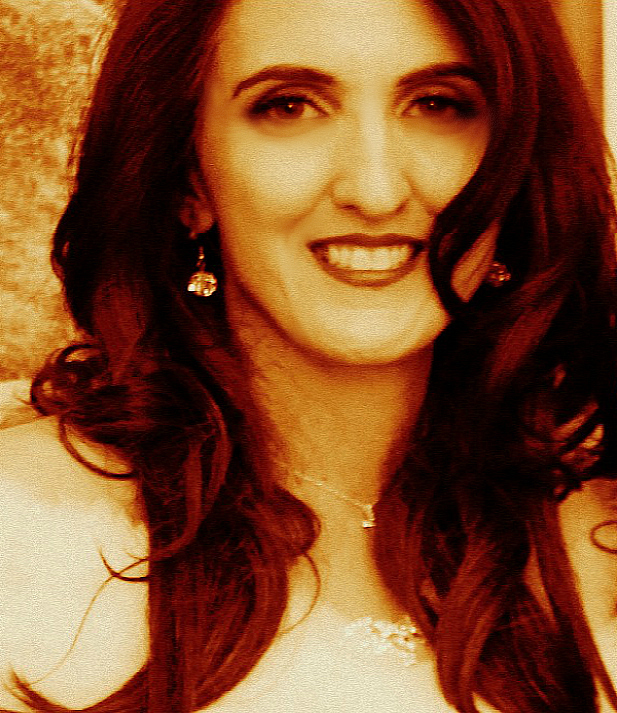 She's an intelligent woman and is successful in her job, working for an equestrian insurance company suits her because she loves horses. Riding is in her blood and Piper longs to be in the countryside surrounded by flowers. Will she ever find the place where she belongs? While she struggles with memories of the past Piper is trying to find the person who makes her complete. Piper meets the love of her life, but their marriage isn't always easy. They are rewarded in some areas, but suffer from plenty of grief in others. While Piper is living her life another Piper was living in France in the 19th century. What is their connection and will Piper ever uncover the mystery behind everything she feels, smells and sees? By going through something incredibly traumatic Piper learns many life lessons, including the one she needs the most. Will she get her answers and finally feel complete? Piper Once & Again is a fantastic impressive story. Piper is a fiery woman with a strong personality. I equally loved reading about the present day Piper and the 19th century one. They are two different women, but they are also the same in many ways and it's clear from the beginning that there's a connection and I was eager to find out more. I love how Caroline E. Zani describes the love she experiences, the tragedy she has to go through and the pain and happiness that are part of her journey. I was fascinated by Piper, past and present. I read this beautiful moving story in one sitting, I was gripped from the very first page and couldn't wait to find out the mystery behind this admirable woman and the big love that is such a vital part of her life. Caroline E. Zani's writing is vivid and captivating. I loved that she's chosen such a fabulous spiritual topic for her story, Piper has memories of past lives. I really liked how she gets messages through scents and is always being watched over by a man who once loved her with his whole heart. It makes the story incredibly special and I was mesmerized by Piper and the way her lives unfold from the beginning. 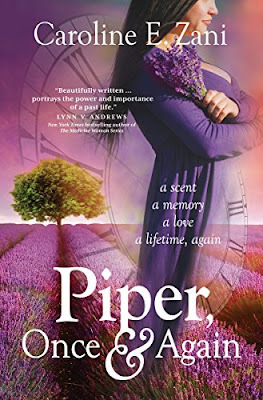 Piper Once & Again is a terrific story and I highly recommend this charming, vibrant and spellbinding book. If you love beautiful stories about true love you should definitely read Piper Once & Again. Caroline Zani grew up in a small town in Middlesex County, Massachusetts knowing she was different. How she was different was difficult to describe and so she stopped trying. She decided on the normal life. It wasn't until a life-altering experience that split her wide open did she understand that the gift of intuition was always there, always wanting to be shared. Working as an intuitve medium and guiding those who come to her, there is only one thing she finds more beautiful than lending hope to those who feel hopeless. And that is watching them learn to connect with their own intuition through her workshops and classes. What she finds truly miraculous is that she wrote Piper, Once and Again before she found her path as a medium. She realizes now that the book was given to her to write as a sort of guide she would need as she navigated that treacherous path between normal and the life she was meant to live. The author lives with her husband in Central Massachusetts and is the mother of one most beautiful daughter. Many of my clients come for sessions when they don't seem to have guidance or intuition. Why don't they get signs? My answer is a resounding: You do! We all do it's just that like any language, if you don't learn it, you can't interpret its meaning. Other times, people come knowing that they are receiving messages but feel that it's "crazy" and others will think they have lost their mind if they share what's been happening. The truth is, all the signs and synchronicity have been present all along but they have only recently become aware. Sometimes their awareness starts with the passing of a loved one or major shift in their life. Other times, some people decide to stop ignoring that sense they have had that there is more to life than what they have been taught in church and school. Whatever brought them to that point, they begin to notice signs everywhere and of course they think it's a new occurrence. When teaching others to tune in to their intuition and the language of the universe, I have them keep a journal. It's vitally important to keep the journal handy as you go about your day. When signs pop up, they write them down. Lyrics on the radio that echo your current relationship, the repeating numbers you see daily, the same animal that appears everywhere - this is the language of the universe. Soon they have pages and pages of similar signs occurring over and over to the point where it becomes quite comical. One person might continue to see 555 on the clock or on license plates, trucks, etc. 5's are telling you that change is in the air. So this is a sign to get ready! Some people might be uncomfortable with the thought of change but if we realize that it's happening all the time, then we can co-create with the universe and call in the things we want. Animals are great messengers too! Once people realize that each animal has a specific meaning, they can go about their day and read the signs as if reading a book. A goldfinch flying by as you leave your house for the day is a reminder to be joyful and to notice the beauty around you, the woodchuck tells us that there is a two-year cycle about to begin and the doe with her fawn in the meadow you drive by on the way to work reminds you that your intuition development is in the infant stage and you are protected by your ancestors as you learn. I'm always happy to consult with people where ever they are on this journey we call Life. One very lucky reader of With Love for Books will receive a paperback copy of Piper, Once & Again, a bookmark and a lavender scented candle from Caroline E. Zani. Would love to win this book for my Mum who loves horses too and reads a lot. I love the lavender scent. It's so relaxing.That cover is amazing! This sounds like a very compelling novel, a must read in fact. Piper, Once & Again sounds like a thought provoking, captivating story about past lives and our path into this world. Sounds wonderful Caroline. Thank you. I always love a beautiful romantic story, this sounds fantastic. this looks great, a tale to warm the heart! This looks like it would be a great book. Thank you for the giveaway. Love the energy around this story. Lovely review. This sounds like quite a mystical book. I like to think there is more than what we can merely see. Will love this. Enjoy reading about "past lives" and scents which take you somewhere you've never actually been. I had my own horse for 10 years too. He was supposed to come and stay for the winter and then go back to the trekking centre for the summer season (as they loaned them out for the winter and I had been on holiday there for 3 years). I was told on my birthday (when we were being picked up) that he wasn't coming home for the winter, he was coming home for good. Learning new skills and hearing about others' ideas is so interesting. May our minds always be open! What an extremely interesting guest post. I'm not a person who has intuition nor sees signs so I don't really know much about any of this but it did make interesting reading.